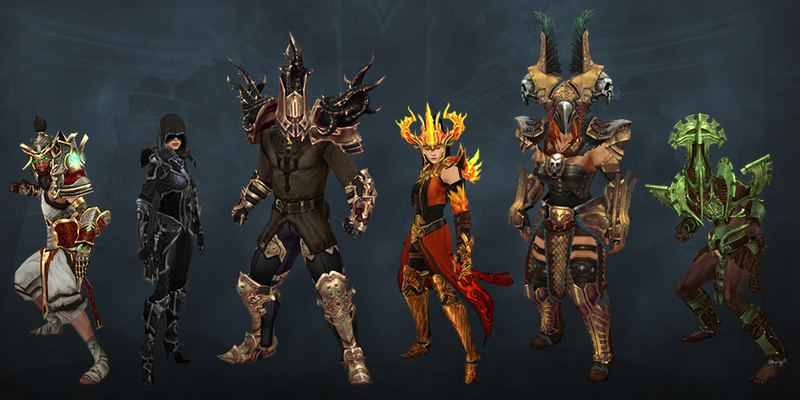 We’re back with new updates for Patch 2.4 for Diablo 3 items collectors! Season 4 has come to a conclusion last 30th of December. Good news, though! Beginning January 15 this year, the new season will go live! The latest official preview released by Blizzard details how the upcoming Season will be different from all the previous ones. Learn more about the big update in the article below! The Season Journey feature, introduced back in Patch 2.3, has been changed. The first major change is a direct response to popular player feedback – that is, seasonal Diablo 3 Legendary items have been removed from the game. All new D3 items will be included in Patch 2.4, and will be made available to be found by players, regardless of Season participation. Don’t fret! There will still be item-based rewards as part of the Season experience. A special bundle of Set items you’ll receive upon completion of certain stages throughout the Season Journey will also be introduced in Season 5 through Haedrig’s Gift. Starting Chapter 3, three of the objectives in the Season Journey will reward you with one of these bags, each containing two pieces of one of your class sets. By the time you complete all of Chapter 4 of the Season Journey, you should be able to equip a full class set! Sounds like a good deal for Diablo 3 items collectors! 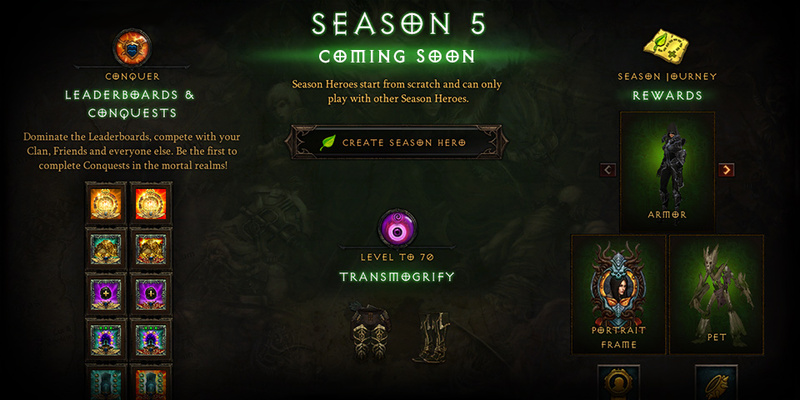 The D3 items you receive will rotate with each Season and depends on which class of hero you open the gifts on. Each Haedrig’s Gift will be mailed to you and can be retrieved by opening the in-game mail icon in the bottom left corner of the screen. Note that each step of the Season Journey will only reward one Haedrig’s Gift for a total of three bags per Season / one full set of gear, regardless of how many characters you might play in a given Season. So make sure to claim your gifts on the class you want the Diablo 3 items for and on! Quench your thirst for challenge with the Masters of the Universe / Masters of Sets Conquest. Season 5 welcomes a new Set Dungeon feature, and through this Conquest, you will be able to complete 8 different Set Dungeons of your choosing. 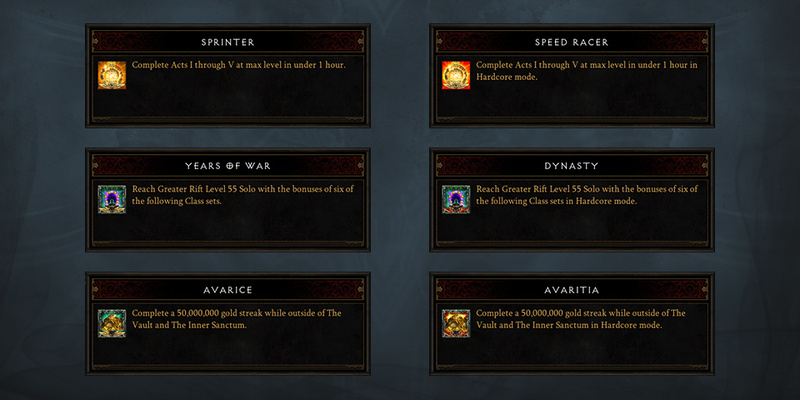 The Thrill / Super Human Conquests previously asked players to push the limits of their gear without equipping a class set. As there are more powerful two-piece sets coming to D3 items collectors, the ante on this challenge has been (slightly?) upped with a few new rules. In Season 5, you will need to complete these Conquests without a single set item. Think you’re game for that? Save up those Ancient D3 items and Legendaries, because you’re surely going to need them if you want to gun for this Conquest! Additionally, you will see the return of some favorites such as Sprinter / Speed Racer, Avarice, and Years of War. Years of War has been updated for the latest levels of class power – now requiring Greater Rift Level 55 Solo to complete. Previous Post:2.4 Update Promises New Zone, New Diablo 3 Items, and More!